Considered to be one of the most beautiful atolls in Polynesia, Tikehau is a graceful oval crown of small islets, with an interior lagoon 16 miles across and a pass for small boats through the coral reef. The Tikehau Pearl Beach is located on a secluded pink sandy beach fringed with coconut trees. 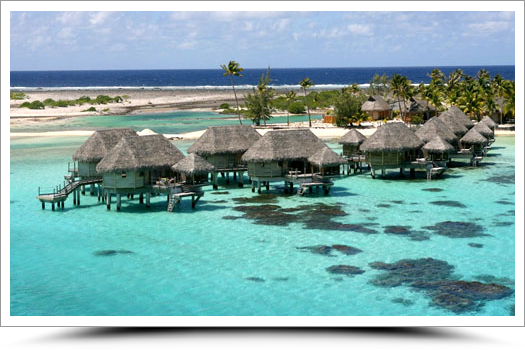 A Pearl to discover in the Tuamotu islands. 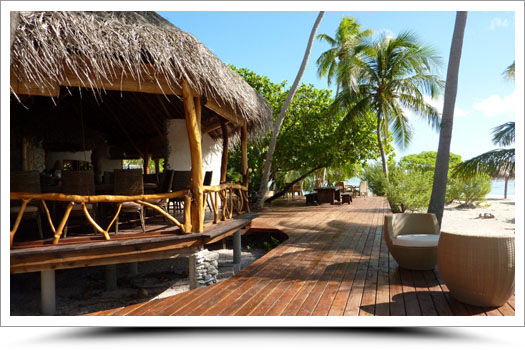 The resort welcomes guests to this 4 hectare tropical and offers 13 beach bungalows with air conditioning and 24 overwater bungalows and suites. The bar and the restaurant located poolside provide idyllic setting to observe the shimmering stars in the sky. Many excursions and activities are available to enhance this heavenly location : snorkelling, canoes and kayaks, sunset cruises, picnics, visit of the village by bicycle, Tikehau Blue Nui scuba diving Center. Fare Manea invites you to experience the rich massage tradition of Polynesia thanks to the best certified 100% natural products. Discover the exceptional blend of an exclusive hideaway, elegant informality and Polynesian hospitality at the Tikehau Pearl Beach Resort. If you are looking to vacation somewhere no one has ever heard of, with hardly any tourists, have a good look at this property. It is a special magic everyone loves.